Bet Giants-Falcons over 54.5 with 888Sport. Bet Falcons -6 over Giants with Karamba. Bet Falcons -3.5 in the first half with 888Sport. 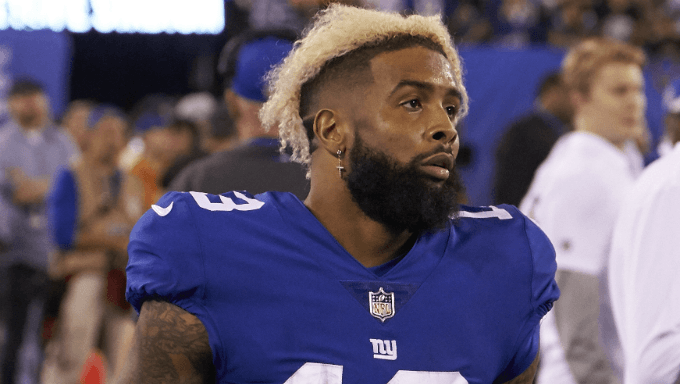 The Giants are in a serious tailspin as they continue to try and figure out the QB situation, from who should be starting to protecting the guy throwing the ball. At 1-5 this team can’t get out of its own way. Owner John Mara called out his star player, Odell Beckham Jr., to play more than he’s talking. Even the lone bright spot, Saquon Barkley (229 total yards last week against the Eagles), can’t make up for the deficiencies in the offensive line. During this three-game losing streak, the Giants defense has surrendered at least 30 points every time. Their defense hasn’t held an opponent under 20 points all season. The Falcons have found different ways to lose football games this year, but coming off a 34-29 victory over the Bucs, the talk once again is about loss. The only positive the team has heading into their primetime matchup Monday night is their opponent can’t seem to get any worse. Atlanta lost Devonta Freeman to the IR with a groin injury and K Matt Bryant is expected to be out as well. Scoring actually hasn’t been the issue -- the Falcons have hit over 30 points three out of the last four weeks. The problem is their defense has let up over 30 in all four of those games. Matt Ryan was stellar – throwing for three TDs and 354 yards – pacing an offense that got nothing from the ground game. Julio Jones took over the Tampa secondary, catching 10 balls for 143 yards. They can move the ball between the 20s, it’s the red-zone offense that’s been a major worry. The biggest hit for the Falcons is losing RB Devonta Freeman for at least a couple of weeks. Freeman’s groin injury gives way to fourth-round draft pick Ito Smith, who steps in alongside current starter Tevin Coleman. Bryant is most likely out with a hamstring injury, and the Falcons signed K Giorgio Tavecchio ahead of Monday’s game. Both Mohamed Sanu (hip) and Calvin Ridley (ankle) are hopeful to play through their injuries. On defense, they could get DT Grady Jarrett back on the field against the Giants. Jarrett is a major difference-maker in the middle of the line, helpful against the one thing the Giants do well. Eli Manning will have one less WR to throw to as Cody Latimer (hamstring) was placed on the IR. After missing a couple of weeks with a knee injury, TE Evan Engram may return Monday night. Engram practiced this week and is a welcomed addition to a barely existent passing game. The team’s second leading receiver is Barkley – 40 receptions for 373 yards – showing signs of short throws and check downs. The Giants enter this game as a six-point underdog, per Karamba. It’s no secret Atlanta will try to move on from one of its most productive all-around players in Freeman. That Ryan is coming off a huge game in the air, where he didn’t need any help from his RB, is a great sign against this Giants defense. NY just gives up points, they can’t help themselves. This matchup is truly favorable to Atlanta’s ability to move the ball in the air vs. New York’s inability to stop it. The Giants are only averaging 19.5 point per game, so once the Falcons build a lead it should be enough to cover. Take the Falcons -6 with Karamba. The 54.5 set by 888Sport is so high because of how suspect both team’s defenses have played. Understandably there’s concern neither team will be able to stop the other one from scoring. The Giants are struggling to score, and even with breakout talent at WR and RB, the team can’t figure it out. But it’s the NFL, and we always look at the matchups each week as an indicator. If the Giants can give Manning a small amount of time, they can throw on the Falcons. Atlanta comes in giving up 307.5 passing yards per game. Between OB Jr. and Barkley, the Giants have the ability to put up some points. While they won’t outlast the Falcons in a shootout - hence ATL covering the spread – there’s plenty of room for the Giants to score points. Grab the over with 888Sport. The line is Falcons -3.5, and they have a wide-open opportunity to take advantage of the slow starting NYG, especially in the first half. They’ve only scored one TD in the first quarter over the past three weeks and are only averaging 8.5 ppg in the first half during their losing streak. The Falcons outlasted the Bucs in a high-scoring affair, where Ryan was precise with his passing. There’s zero reason to believe this team would come out flat or unable to build off las week’s performance. The Giants are dead last in the league in total sacks, as their inability to consistently pressure the QB will come up huge Monday. Look for Atlanta to establish an early first half lead on their way to covering that line. Bet them -3.5 in the first half with 888Sport.